Some friends stay friends forever. This is a dinner party of such friends. My Bride has stayed in touch with some of her friends from elementary school right through high school. A couple of them have moved over a couple hours away from each other, but they still get together and that is what friends do. This time everyone was meeting at our house for dinner and my Bride could not be happier. I mean she agonizes over the dishes and making sure everything is arranged properly, but that I think is when she is the happiest. She is aware of all the dietary requirements of her friends and she arranged the dinner preparations according to these needs. Actually she is getting quite good at making dinners Gluten-free when the occasion arises. She had several different appetizers ready for when the guest arrived, and considering the distance a couple of them traveled, they all arrived on time, and not “fashionably late.” For the cheeses she even got a couple of different Gluten-free types of crackers, just in case one was not as good as the other. When she was making her Caesar Salad, after tossing it in the dressing, she put a good healthy size plate of it on the side, before she tossed the rest of the salad with her sautéed breadcrumbs, she has decided that she likes the breadcrumbs over croutons for this salad. For the main course she was so happy with a dinner entrée that she had made before, she repeated it again; so she made Salmon with a Bourbon Sauce. There were several sides, and one of her girl friends, who is almost a vegetarian, brought a wonderful tray of vegetables with a Balsamic drizzle, she is a great cook in her own right, and her brother happens to be the chef overseeing several restaurants that grew from the original one that he started at. For dessert we had that great New Orleans treat Bananas Foster, which allowed me to bring up a story or two about this fabled dish, not that I need much coaxing. When the guests arrived and their outerwear was put in a proper location, it was my job to find out what they would like in the way of beverages. I was going to start out with some white wine, and I offered everyone a choice of still or sparkling. I was surprised, but everyone opted for sparkling, but it did make the afternoon seem more festive. 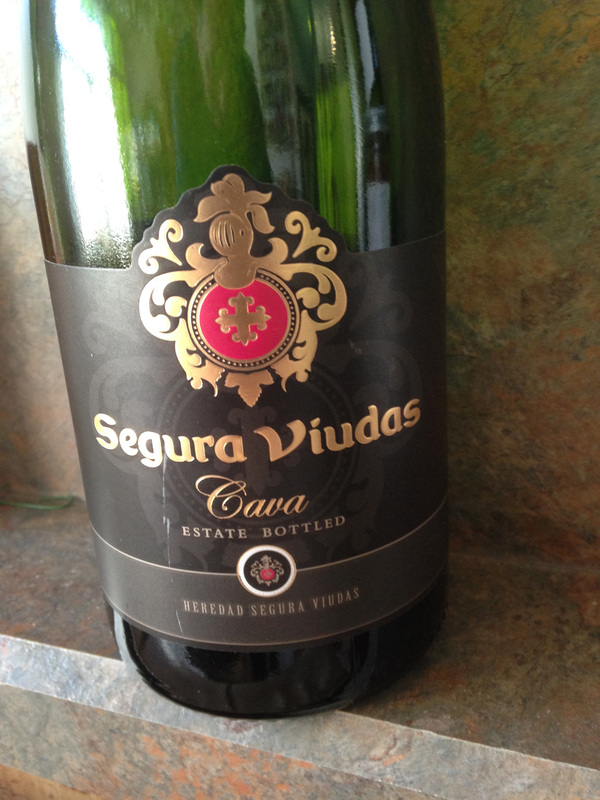 I opened up some Heredad Segura Viudas Brut Cava NV, and it is owned and distributed by the Cava House Freixenet. Cava was originally called Champana, until the French Champagne association fought to keep their product “Champagne.” Cava is now an appellation in Catalonia, though it is also made in other parts of Spain as well. The name Cava derives from the caves that the wine is stored in for at least nine months according to their rules, and they also produce Cava Reserva or Vintage Wine as well. This wine is made from Macabeu, Parellada and Xarel-lo varietals, but some are also blended with Pinot Noir and Chardonnay, and then there are also Rosado wines. The Brut designation for this wine is the third from the driest rating with some residual sugar. For our salmon dinner and to keep my Bride happy I went with one of our favorite wines, and though some may shudder when I mention it, to date we have not had a bad bottle of wine. 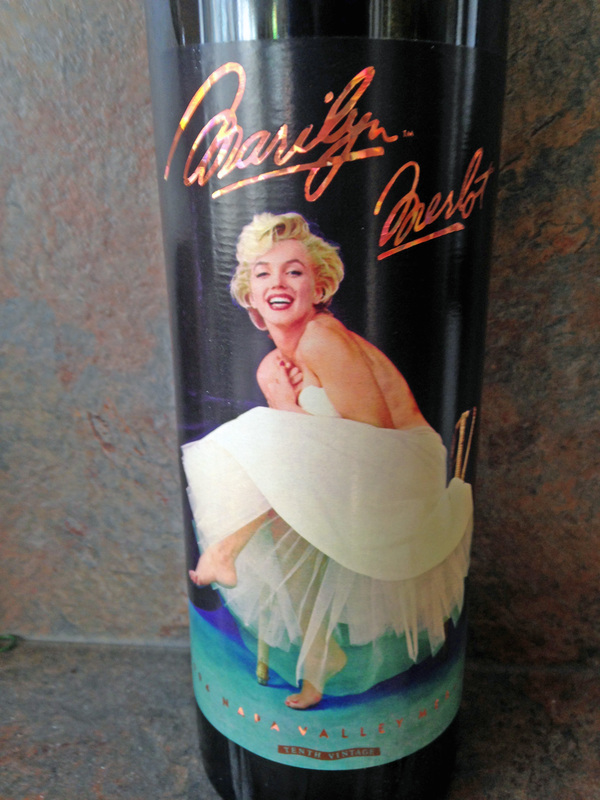 We poured Marilyn Merlot 1994 from Nova Wines in Napa, and this was there Tenth Vintage. They just make a great bottle of Merlot wine, though I was a bit concerned because the cork crumbled and I had to decant the wine for dinner, but it was perfect, with no sign of being over the hill. All in all it was a great way to spend an afternoon. This entry was posted in Dining, Wine and tagged Brut, California, Catalonia, Cava, Heredad Segura Viudas, Macabeu, Marilyn Merlot, Merlot, Nova Wines, Parellada, Spain, Xarel-lo. Bookmark the permalink.